Wind is created by uneven heating of Earth’s surface by the sun. When harnessed, wind can be used as a clean, renewable energy source to help power the world. So who knew a breeze blowing through the trees could have the potential of generating electricity? In Iowa alone, over $9.8 billion dollars have been invested in Iowa’s wind farms, according to Iowa Wind Energy Association. About 75% of Iowa is suitable for wind energy development. 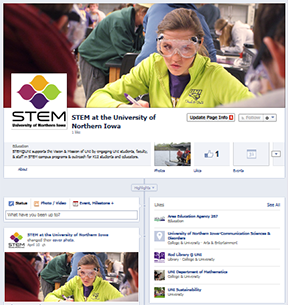 FREE (Fabulous Resources for Energy Education) strives to educate students and educators alike about wind energy. We loan many resources to schools and groups across the state to learn more about this valuable natural resource. 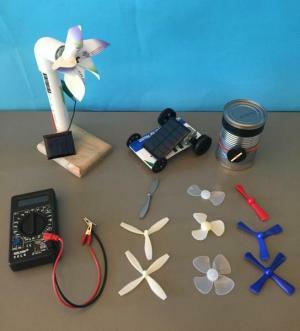 Our most popular resource includes the KISS Wind Kit, which can teach students the power of wind energy by making their own model wind turbines. Our complete list of wind materials, activities, and lesson plans are listed below. Students are able to create five different wind turbines. The kit also includes instructions on how to create pinwheel and spoke blades. Students can test their own blades with the LED light sticks included in each kit. View the instruction manual (pdf) to see a complete list of everything you receive in a KISS Wind Kit. With each propeller kit, students receive nine different kinds of blades that they are able to test out on the wind turbines. Using a multimeter and a hair dryer or fan, students compare output for blade shape, size, and number. This a great critical thinking and hands on experience for the students. This kit is an overview of our products offered. It includes a solar pinhole camera, solar car kit, geared wind kit, a best blade kit, and multi-meter. The FREE Program makes some of its own propeller blades and wind turbine hubs with a 3-D printer. These models were created with Inventor software, (free for educational use at http://www.autodesk.com/education/free-software/inventor-professional). Your school may have other 3-D software available including TinkerCAD, AutoCAD, Canvas, etc. The .stl files [734 KB Zip Download] can be uploaded and printed to most classroom 3-D printers. The .ipt files [3.159 MB Zip Download] are easier to edit. Each Zip Folder contains 5 models: 2 blade propeller, 3 blade propeller, 4 blade propeller, 2mm snowflake hub, and 1/8 inch snowflake hub. Kestral meters allow students to measure the average, instantaneous, and maximum wind speed. Simply by blowing into the blade on top, students can measure their own wind speed and compare their results to the Beaufort scale, charts designed for wind turbines, to see how windy they are in comparison. 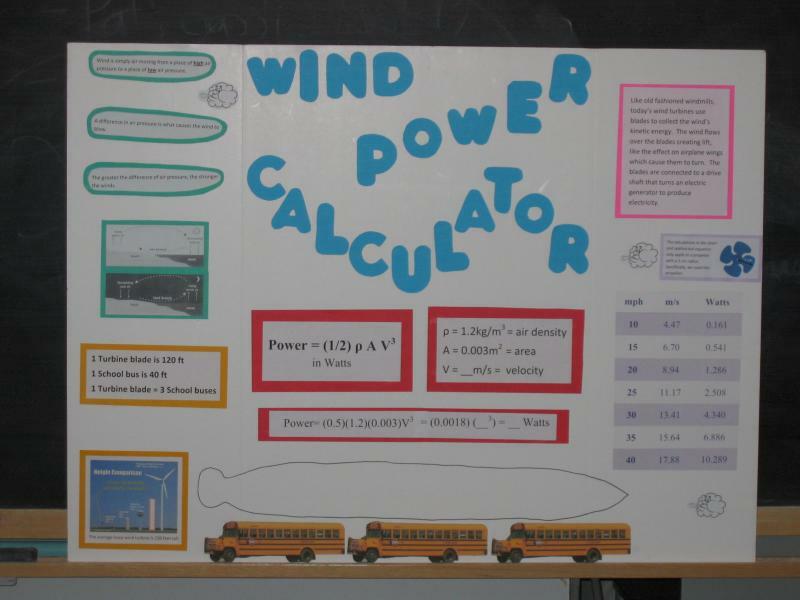 It’s a fun way to compete with other students for the highest number and to feel how much wind is needed to power a wind turbine. Borrow the vinyl cover to turn a matched pair of fans into a safe place to test your wind turbines. You will need your own box or other fans and velcro. . Make your own tunnel from a tablecloth vinyl available at fabric stores using this instructional video. Best Blade Test- Discover how the number of blades, area, and pitch affect performance. Best Blade Lesson Plan- The steps we take when teaching about blades with the 5 E's. Real Time Wind Map- Watch the winds sweep across the US in real time, or check the archives for Hurricane Sandy.